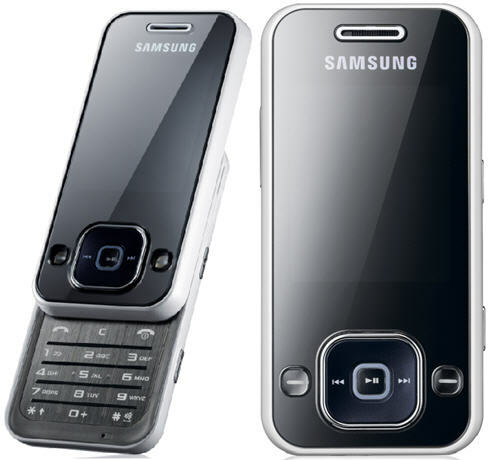 The sleek but sturdy Samsung F250 has been poised as a new generation of mobile phone. Looking quite shiny with smooth edges, it gives the impression of being an expensive phone, but when you look at the actual price of the phone-set you’d be amazed. Samsung have always been one of the leading firms in producing electronic equipment and I have to say that their products are normally reliable, efficient and product great quality. This mobile phone has almost all these features, however, if it’s considered a budget phone there must be a reason for it. “Not everything that looks good from the outside is also good from the inside”. This phone fits the statement as a glove fits the hand. Amazing and attractive from the outside but it lets you desire once you start using it. As everything else, this mobile has its pros and cons and whilst it performs the functions of a mobile phone quite well, the ancillary features are way behind its competitors. Making phone calls and sending and SMS has never been easier – that’s true – but even though these are the main usages for a mobile phone, how many of us stop at just that? With the current technological developments, I was honestly expecting something much better – but considering the price at which the phone is retailed, I’d have to step back. The Samsung F250 is equipped with a 1.3 megapixels camera which even though it does take photos, it doesn’t do this well. The quality of the photos isn’t very good and some might find themselves not using it due to the poor quality. Having said this, what you buy is what you get – what can you expect from a 1.3 megapixels phone camera? If you want music at the touch of a button and with you wherever you go, then this mobile phone might be the right choice for you. Whilst the built-in memory is quite limited at 20Mb, the F250 can also be boosted with a MicroSD Card which would hold most of your music collection. Quality of the music is quite acceptable although not the optimum. Whilst the menu is quite well sorted and easy to navigate through, there is one feature that I don’t know why they really included. The non-customisable menu features – you can change the text colour but not the menu background. This means that when purchasing this phone you are practically stuck with a Pink/Purple background which isn’t really applicable to everyone. The display quality isn’t really good and even when uploading a photo it will lose some of its crisp. I was actually amazed by the battery and the lack of charging demand. I’m quite an active mobile user and if you charge it the correct way (that means, not leaving it through the night but give it only the charge that it requires) you can easily go through one week without charging – how good is that? The communication quality is quite good compared to other phones – the sound is sometimes actually too loud even when you lower the volume as much as possible – but I’m sure that this wouldn’t be something stopping you from buying this phone. I think that this phone is quite good for those who want to stick to using a mobile phone solely for the purpose of its creation – i.e. being able to make calls and SMS messaging from anywhere. Comparing the looks in relation to the price, this is a definite bargain because it looks expensive but you can easily buy it for less than £100. The features are quite limited and you might end up regretting buying this phone – the worst aspect being the fact that you cannot change the menu colour which I have found most frustrating.